chibi Titans!. They're so cute! 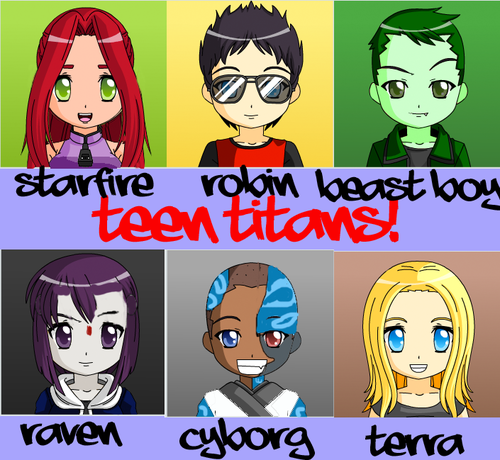 I made them at the link above, then did lots of photoshopping to get them just right.... Wallpaper and background images in the teen titans club tagged: teen titans awesome titans chibi anime face face maker. DAT IS SO FREAKIN CUTE!!!!!!!!!!! 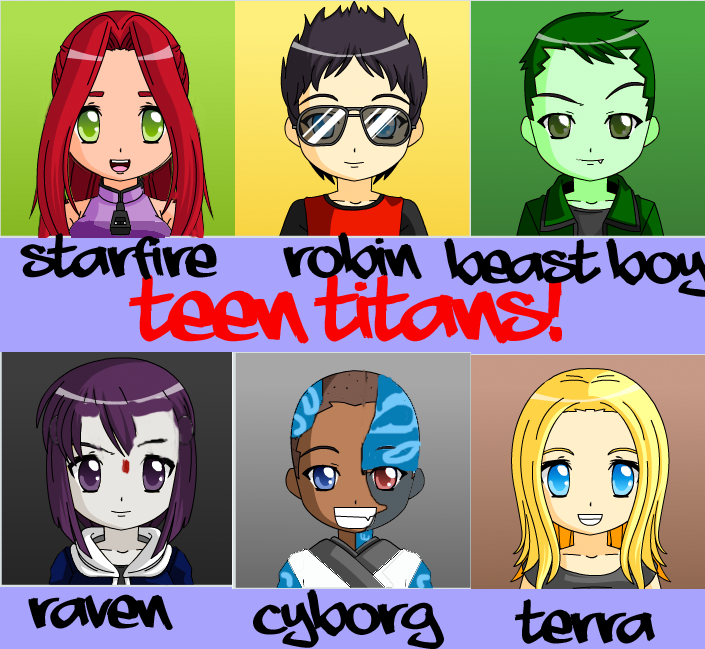 I would be okay with the new Teen Titans animation if it looked like this. It would be cute. this is great ya know! Aw, they're so cute! I actually like Starfire in this one, though my favorite character is Raven!